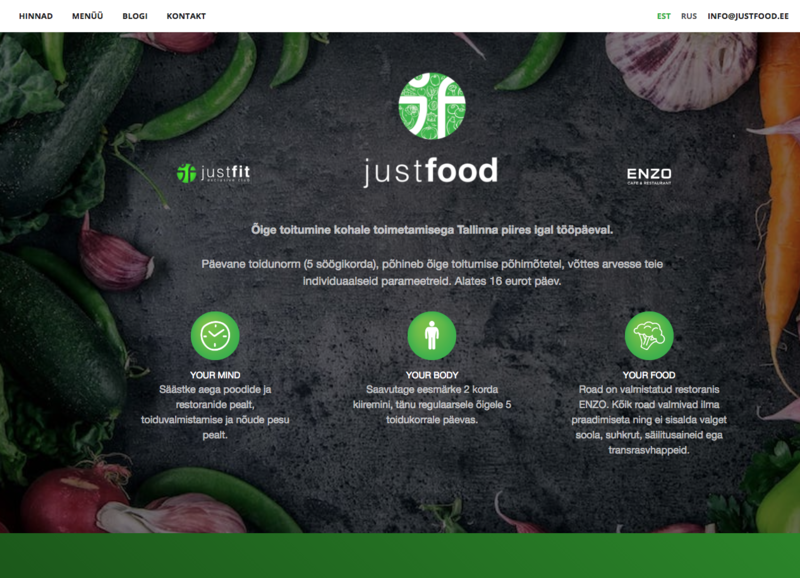 Justfood - Online ordering of healthy food | OÜ Revelan. Разработка Drupal сайтов и интернет-магазинов. Booking system for online order of healthy food.